Time For A New Symbol? Let's Make Mod History! The Mod roundel has been associated, for better or for worse, to the Mod culture for decades now. I've discussed my love / hate relationship with the "target" in a 2011 blog post entitled The Mod Target and Other Pop Icons. You can read all about it here. Mods aren't the only subculture that have strong, longlasting symbols associated with them. 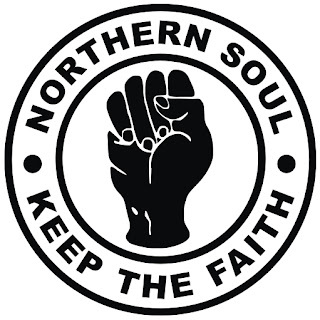 Punks have the anarchy "A" and the safety pin and you can't avoid seing a black fist whenever you attend a Northern Soul night. 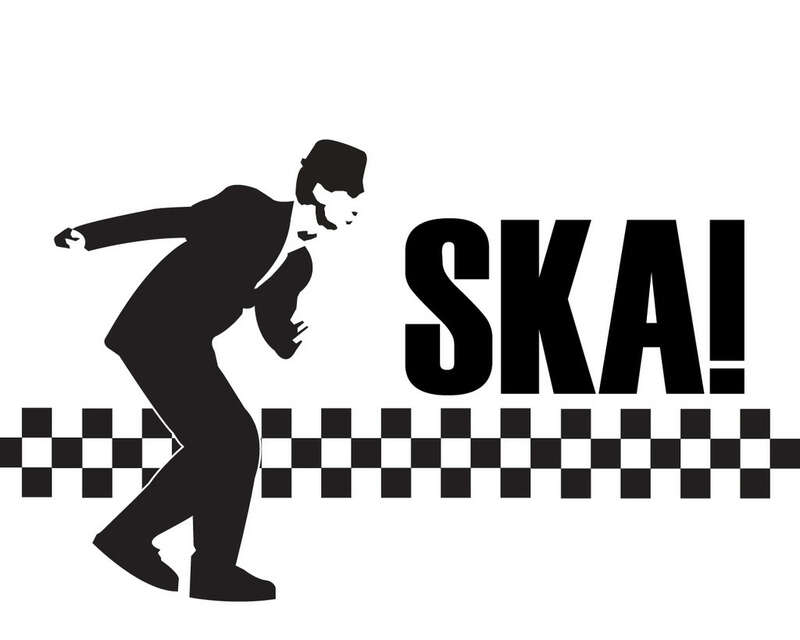 The black and white checkered patern has been all over the Ska scene since the Two-Tone era. Representing the unity between the black and white community, it has a powerful anti-racist message. When I say "boots and braces", you think Skinhead, right? 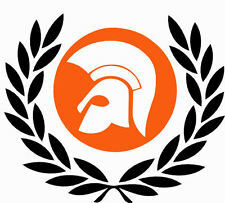 The Trojan helmet is also closely tied to Skins and their love for the British Ska and Reggae record label of the same name. Let me break it down even further. A few scenes also have animals as emblems. 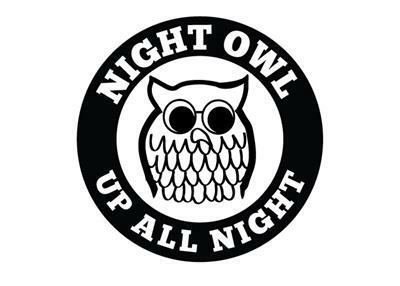 The night owl is indicative of the Northern Soul scene. You see it on posters, pins and on patches adorning the iconic Adidas bag. 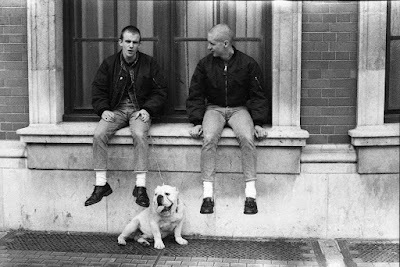 The Skinheads have proudly adopted the British bulldog as a patriotic symbol of strength. 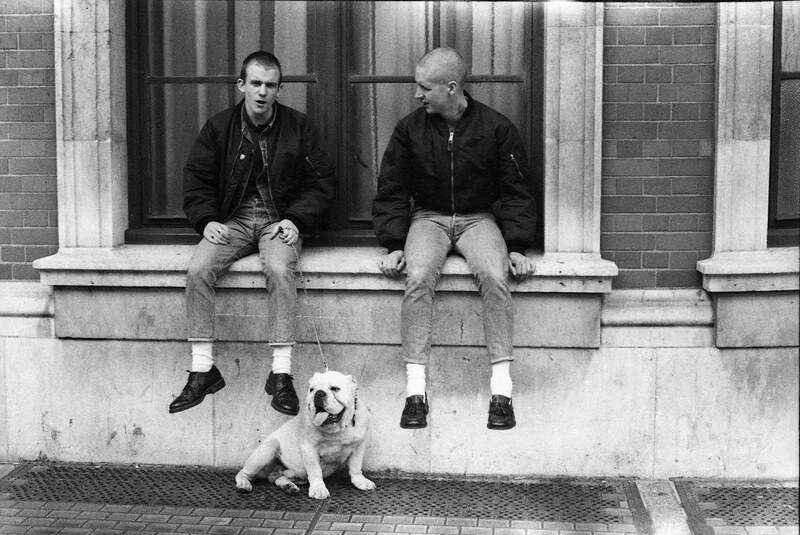 The dog breed has been seen on t-shirts or permanently tattooed on the body of many Skinheads. But what about Mods? Shouldn't we also have an animal representing us? Isn't it time we refresh our brand? You know, something a little more modern maybe? How about we make Mod history today? 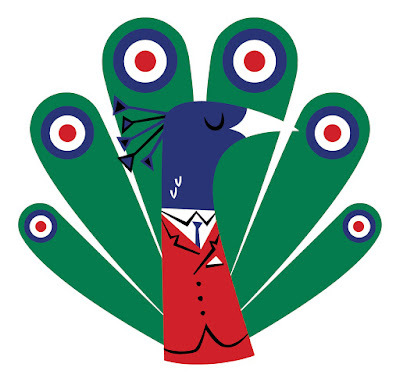 Join me in shaping our image and taking part in what could leave a mark on Mod culture for decades to come. Are you with me? Let's be perfectly clear here. I'm not suggesting or advocating that we replace or change the target. In fact, all of the design offered here include the target in it. Every single one of them. All that I'm is proposing is to add something new but classic at the same time. That is at the core of what Mod is. The status quo is the enemy and goes against the essence of what a Mod truly is. 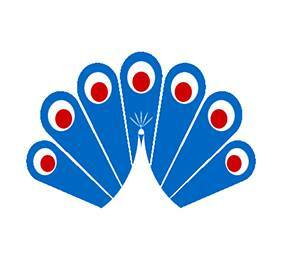 Let's be realistic, there's no link between the RAF symbol and Mods in the 60s, yet we accept it. 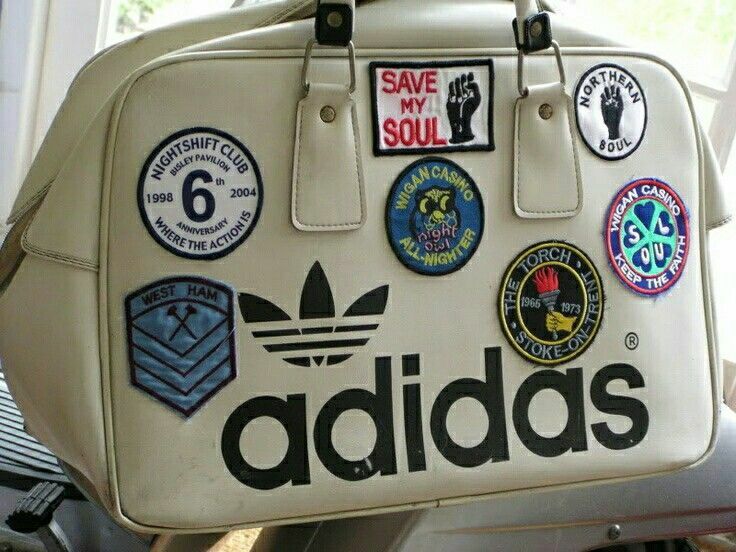 The roundel really made its appearance 20 years later during the Mod Revival. I have never seen a single photo of an original Mod from the sixties displaying any kind of target. If you have one, by all means, please share it with us. I would love to see it. The roundel has no reason for existing except for the fact that Keith Moon had one on his t-shirt in a photo shoot 50+ years ago. And Keith wasn't even a Mod! I always thought that Mods were forward thinking, pushed the boundaries, came up with new ideas. That is the essence of what Mod is. At least it was in the 60s. 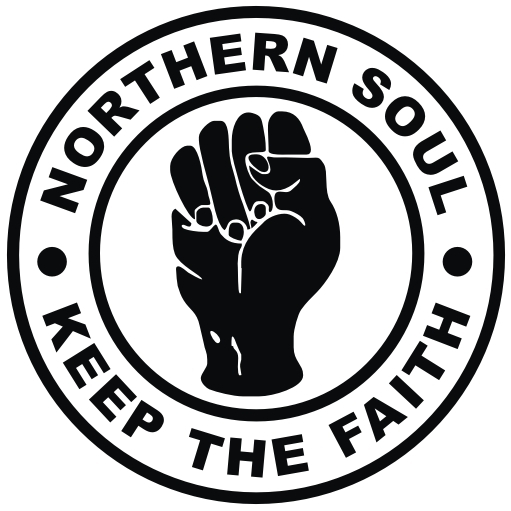 The fundamental basis of being a Mod IS change. It's at its core. I didn't come up with the concept. That's what the original Mods were all about. They came up with new clothing styles, ways of presenting themselves and remade the world in their image on a weekly basis! That's what distinguished the Faces from the Tickets. Now, I don't hold all the answers or pretend to be the ultimate expert. But I took a chance. Dared a little. For more then a year now, I've been pondering on what animal would best embody the Mod ethos. It's not a question I tackled lightly. It's a minefield I was prepared to navigate carefully and I did come up with an answer: the peacock! Let me make my case. 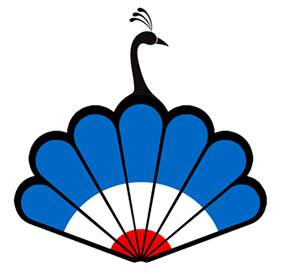 We often regard the peacock has having human characteristics that are usually prized by our tribe: integrity, beauty, pride, confidence, independance and refinement. We can add a little cockiness in there for good measure. Technically, only males are peacocks. Even if Mod culture is a very male-centric subculture, let's not diminish the contribution of our female contreparts. So if you want to be inclusive, we can call them peafowls. But there is a little more to peacocks then that. First, did you know that a group of peafowls is called a pride or a party? Seems quite fitting if you ask me. A peacock also loses its train every year after mating season. Doesn't that sound like a Mod that will change his clothes on a regular basis simply to impress? Speaking of a peacock's feathers, they hold microscopic crystal-like structures that gives them an irredescent sheen. That sure reminds me of a Mod wearing his best shark skin suit. 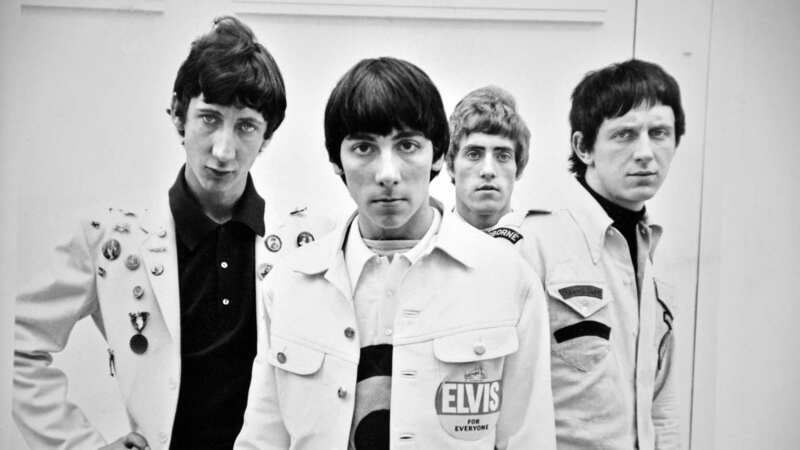 Mods are the peacocks of any dance floor, struting around in their latest threads. When they hop on their Vespas and Lambrettas, they fan out their mirrors like the patterned plumage of their winged alter egos. Are you following me? So I decided to solicite the help of two of the most talented artists I know. 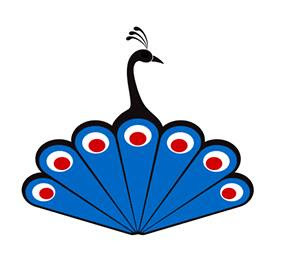 They graciously accepted the challenge of coming up with designs of the majestic bird à la Mod. Mod Marty, aside from being one of my best friends and a skilled artist, is also the man behind the great radio show and podcast On Target - It's What's In The Grooves That Count. 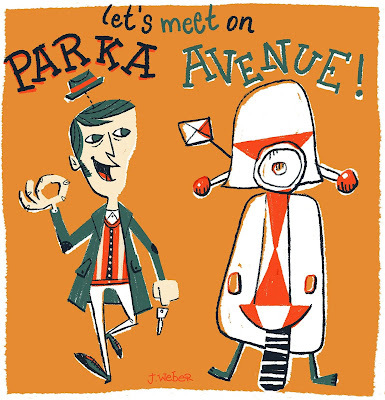 I was a fan of Marty's art long before I ever met him. Back in the 90s, he published an ultra cool Mod comic called Kinder Nacht. He has also designed all of the posters for the weekender I host every year, MODtreal. 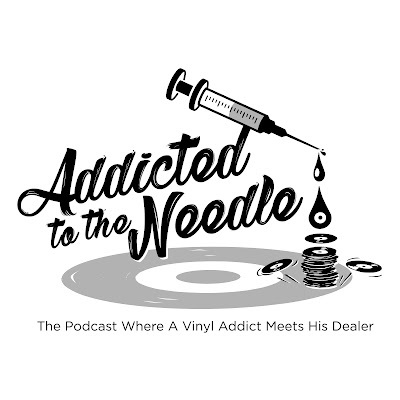 He's also the mastermind behind the wonderful Parka Avenue Facebook logo and the logo for my podcast, Addicted to the Needle. I think his Mod credentials need no further explanation. Julian Weber is a young upcoming German artist that has a style reminescent of all the great mid-century commercial illustrators. I love this lad's modus aparendi and he has a great eye for the Mod esthetic. I predict a bright futur for him. 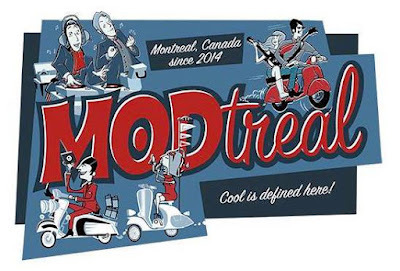 He worked on this year's MODtreal poster with Mod Marty and did a fantastic job. 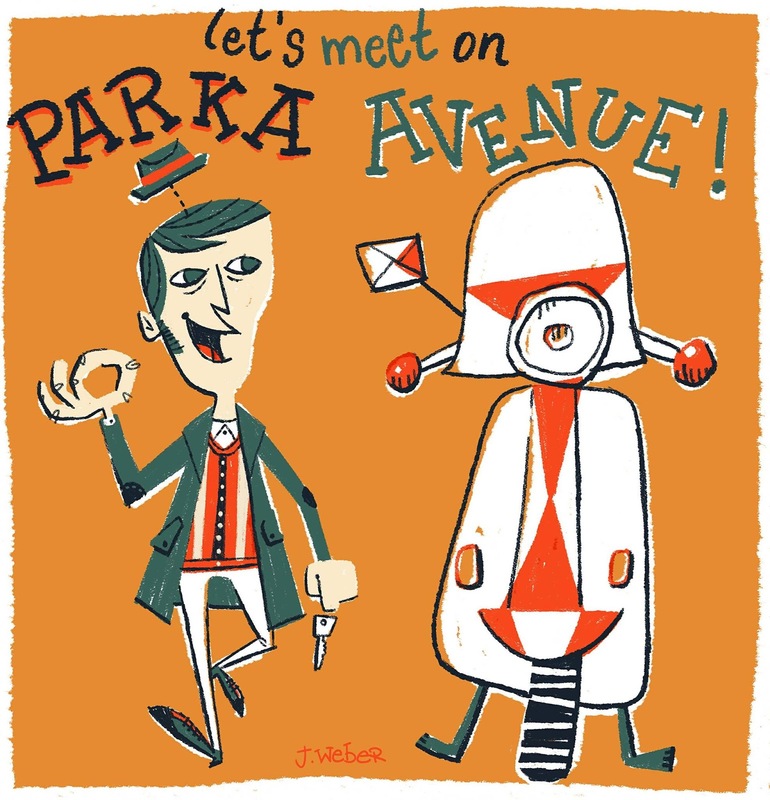 He was also kind enough to come up with this great drawing for the blog. You can browse through his work on the Julian Weber Art Facebook page. Now is the time for the big reveal! Up first, Mod Marty brilliantly hatched a clean, smart, polished rendition of our new symbol. You have a favorite? Let us know. Julian, in his own original style has hit all the marks. Is Julian's illustration the face of a new generation of Mods? You tell us. Your feedback and support are crucial if we want this to work. Dessiminate the idea! Show off your favorite one! 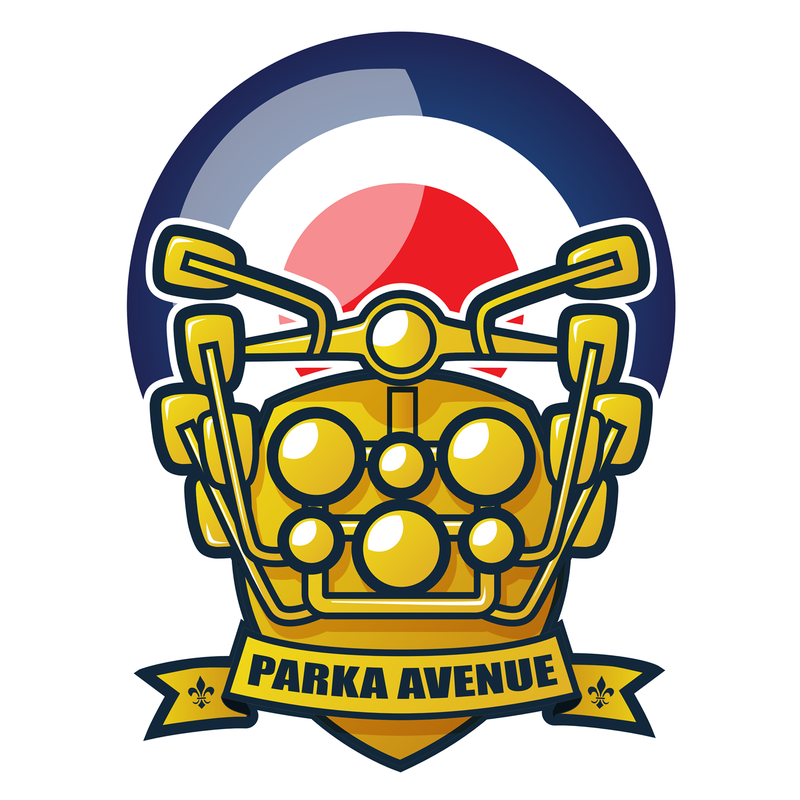 Come up with your own version and share it on the Parka Avenue Facebook page here. We all agreed that these images would be free of ownership. You want to use it for an upcoming Mod allnighter poster or banner? Please do! You want to make it part of your new scooter club logo? It's yours!